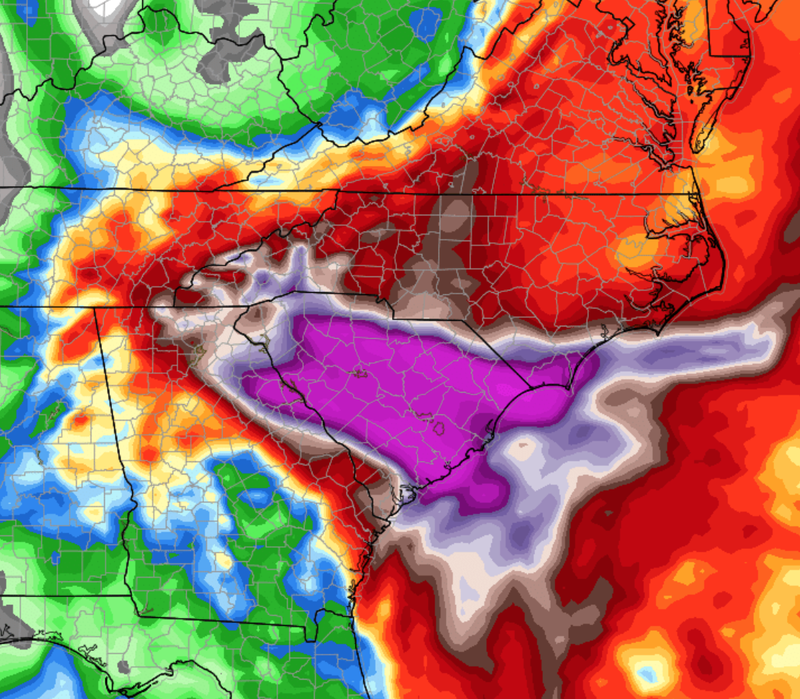 Let's talk about -- by far -- the most important thing first and that is the major, and perhaps catastrophic, flooding forecast for the Carolinas and adjacent areas. Rain is developing off the coast that will migrate northwest with time. Over the next five days, extremely heavy rains will fall in the region. The purple areas are where a foot or more of rain is possible by Tuesday. I wouldn't be surprised to see a few spots get 20 inches. This forecast could be off by 100 miles or so north or south so don't take it too literally. 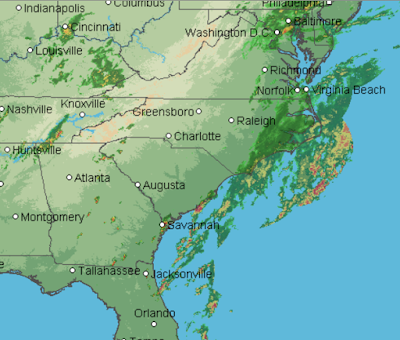 The point is if you live in Charlotte, Columbia, Charleston, Augusta, etc., you need to be prepared to evacuate if you live near a river or flood prone area. 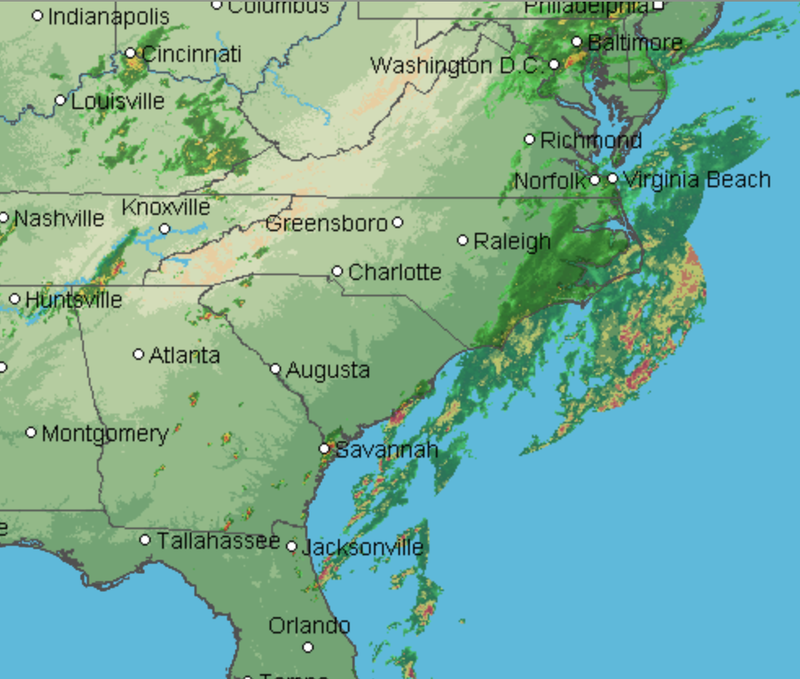 Heavy rains will also fall through Virginia and into Maryland with the system and flood is likely there but it will be less serious than over the Carolinas. Wow...this just doesn't get any easier. 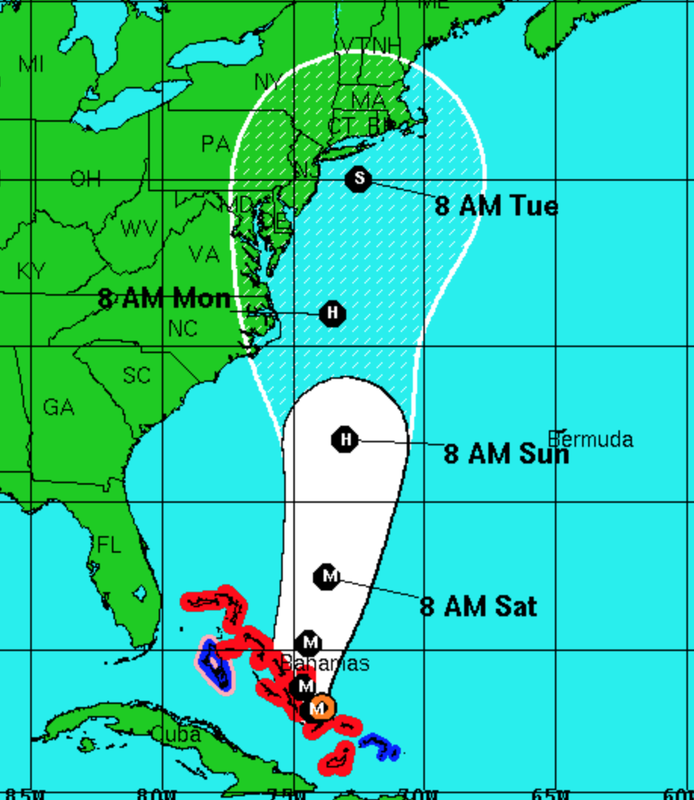 The models continue spread from the Carolinas to New England to completely out to sea. Here is the National Hurricane Center's current best estimate. It is still possible that the storm could move inland in the region I outlined yesterday afternoon but that appears less likely. We will get additional data early this afternoon and I will update after I have had time to analyze it.